Think about your car for a moment. Although it might look clean and polished on the outside on the inside it’s dirty. Especially new GDI engines. Fuel injectors in GDI engines get so dirty, so fast you can actually start feeling the poor performance within 10k miles. Leave these injectors untreated and next thing you know, you are stuck with a slow, engine shaking car that just doesn’t go like it used to. Sounds like a complicated problem, right? Well, our chemists don’t back down from a challenge. 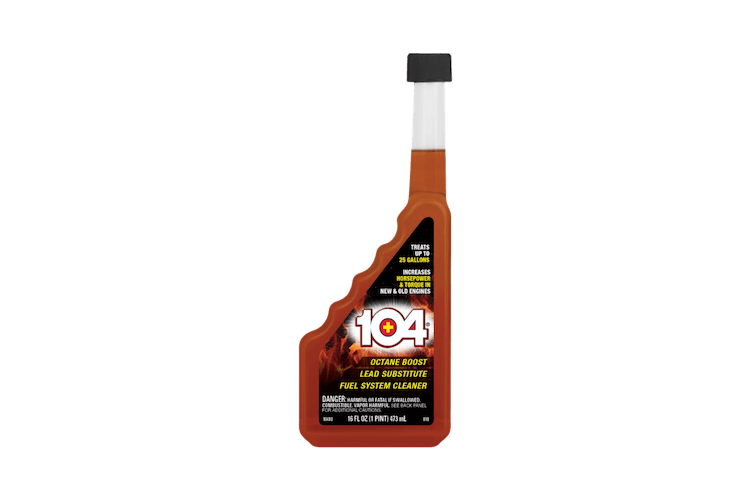 We know what it takes to formulate and innovate technology others can’t and that’s why 104+ Fuel Injector Pro® is the ultimate fuel system and injector cleaning solution. Have you heard of a GDI or DFI engine before? Gasoline Direct Injection or Direct Fuel Injection is new technology that ultimately stands for better performance. But that new found engine power comes at a price. That price is nasty carbon deposits! Because these new Direct Injection Engines have the injector directly in the combustion chamber they become choked up by heavy, hard, caked-on deposits. 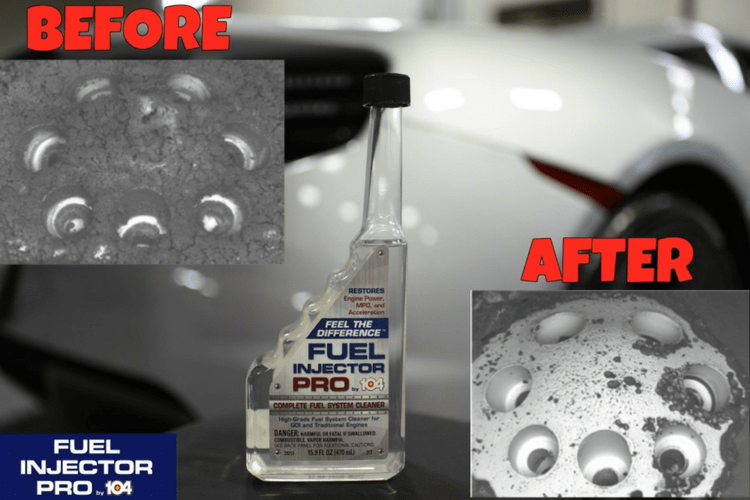 These deposits are so tough to clean, there hasn’t been a fuel system cleaner on the market that could actually get rid of these pesky deposits. Until now. 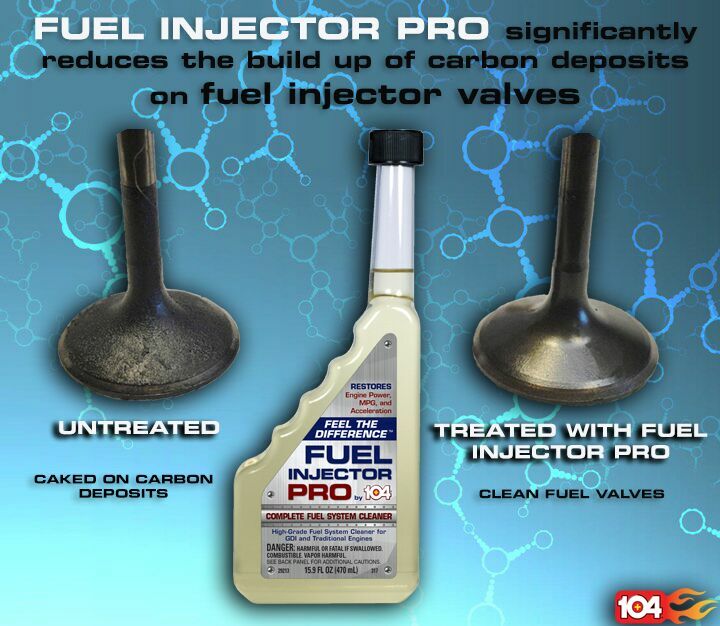 That’s why the experts at 104+ formulated Fuel Injector Pro®. The benefits are in the formula. 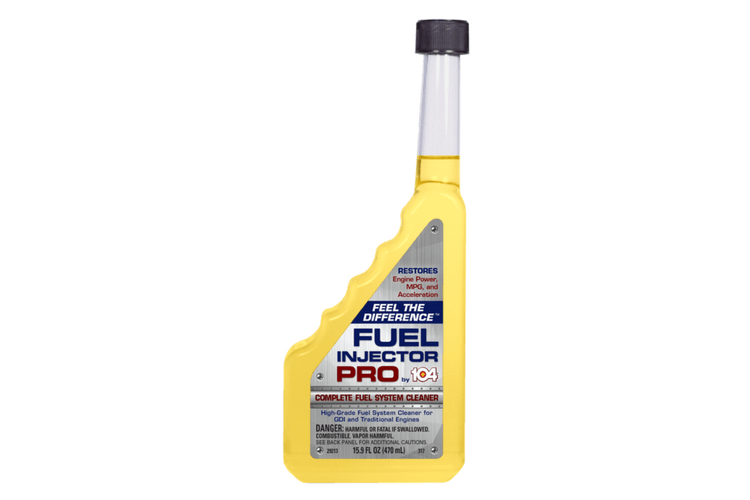 Remove those power robbing, rough idle causing, MPG losing carbon deposits and eliminate all the headaches caused by them, with Fuel Injector Pro®. The big one is fuel economy; you are going to gain back those MPG’s that were lost, saving you at the pump. Not only is it going to save you at the pump, but at the shop as well! Fuel system treatments at the dealership could cost upwards of $250! So prevent spending this type of money every 10,000 miles and trust Fuel Injector Pro®. Keep your money in your pocket! 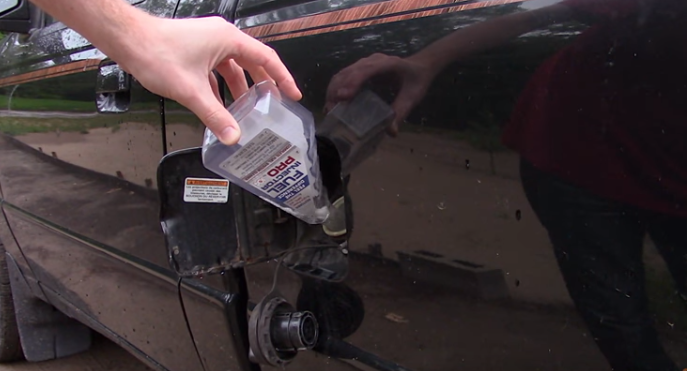 104+ experts recommend adding entire contents of the bottle to gas tank and filling full with gas. For best results follow up with a second bottle at your next fill up. One bottle treats 18 gallons. We recommend repeating this process approximately every 7,000 miles or at every oil change. 104+® Fuel Injector Pro® is rated 4.9 out of 5 by 59. Rated 5 out of 5 by Josh from Wow! What a difference! I followed the directions and used two full bottles of this cleaner with two fresh fill ups of fuel. Wow! I can really feel the difference. I have used other cleaners that don't do anything, but with this product, after the first tank could tell a difference. The idle is smoother and acceleration is much more brisk. Before, the car used to seem a little sluggish, almost like it would labor to get up to speed at times. Now, it feels like it just had a tune up. Rated 4 out of 5 by RBinSalem from So far, so good. Received the free sample. Car is a 2005 Ford Explorer, 4.0 V6, flex fuel model. Driving is a combination of around town in Salem, Oregon and a trip to Portland, Oregon (~ 120 miles round trip on I-5) each fill-up. Here are the stats prior to each fill up: Date: 12/21/2017, Mileage: 113,361, MPG: 15.6, Tank: ~ 1/4 full added 104+ Fuel Injector Pro at fill up Date: 01/04/2018, Mileage: 114,109, MPG: 15.2, Tank: ~ 1/4 full Date: 01/16/2018, Mileage: 114,284, MPG: 16.5, Tank: ~ 1/2 full Date: 01/23/2018, Mileage: 114,514, MPG: 17.0, Tank: ~ 1/4 full I do add SeaFoam additive to the tank at every other fill (did before and still do). MPG had been steady at about 15 to 16 in the past depending on driving conditions. This is a very good indication that the additive has indeed cleaned out some of the junk that has been slowly restricting the fuel injection system. Can't find this locally yet. 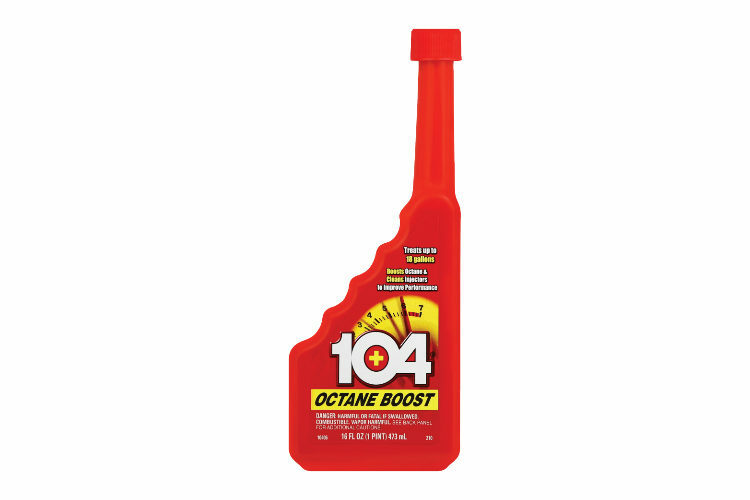 Will keep looking and when I do, I will switch from SeaFoam to the 104+ Fuel Injector Pro as a regular additive. Rated 5 out of 5 by Bono 457 from Finally a product that works. My truck has always had a rough idle since new. 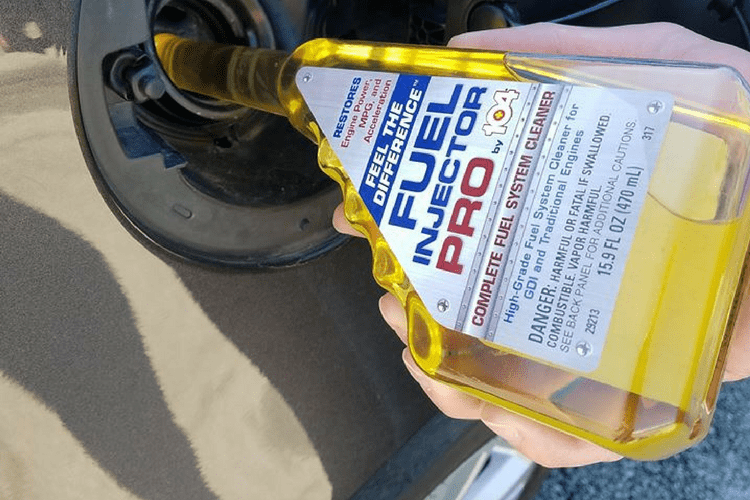 Trying 104 fuel injector pro was a chance to see if it could make a difference. I was surprised to see within the first 100 miles a definite change and then a nice smooth idle. What a suprise.A product that actually works. Rated 5 out of 5 by SteveO1 from Works fast I had noticed my engine idle was rough and acceleration was down. Within 250 miles of adding the Fuel Injector PRO the engine idle was smooth and acceleration was back to normal. Works fast with great results. I will be adding this product to my other cars right away. Rated 5 out of 5 by Mr K from GREAT Results!!!!! I recently used Gold Eagle 104+ Fuel Injector Pro in my vehicle and in just a few miles I could start to feel the difference. The rough idle smoothed out, the throttle response was much better, and the power of the engine was increasing by the mile! Rated 5 out of 5 by JoeL from More power I bought this to put in my wife's Jeep Patriot that has about 110,000 miles on it and it really seemed to give more power in the pickup. We'll see if there is a long term impact. Rated 5 out of 5 by VLStu from Smooths your idle I used this product in my NISSAN 3.5 V6, with ~75k miles. After about 100 miles, I could notice a much smoother idle, and quicker acceleration. Will use in all my cars. Rated 5 out of 5 by Mustang04 from Good Stuff I put a bottle of 104 Fuel Injector Pro into my 2006 GMC and it did help with gas mileage and truck started to idle smoother. Will use it in all my vehicles. Rated 5 out of 5 by jimwo from Worked well i received this product last month and installed it into my fuel system. It has been hard to tell but the vehicle does seem to idle smoother since added. Rated 5 out of 5 by JeepsterXX from Made a difference I noticed my Jeep Grand Cherokee was starting to get a slight engine roughness at idle so I followed directions and added a bottle to a full tank of fuel and ran it through and am definitely noticing an improvement. Directions recommend adding another bottle to the next tank of fuel so I did and certainly expect great results. My guess is I had a slightly fouled fuel injector. Rated 5 out of 5 by cobra1 from I'm a believer! I was given a chance to test this product and I have to say I am a believer now. My truck had a uneven idle at stoplights and a little sluggish on start ups. It is 150 percent improved in both areas. The idle is rock solid on the tach and when I hit the throttle and just wants to go! I WILL be purchasing a second bottle to keep its performance at this level. Rated 5 out of 5 by smoky from wow! smooth performance! I poured this in a couple weeks ago in -10 degree weather. First thing I noticed was a smoother idle! I had to check to see if the car was running! my car is a 2011 with 29K miles. this is the first product I have used. I am impressed also by low speed drivability seems to be boosted too. Can't wait to check the mileage! Rated 5 out of 5 by mr sardonicus from I can feel the difference! My truck has only 62k miles on it, but had not been cleaned out in a long time. Just town driving, with no additives. I filled up with new fuel, put the bottle of 104+® Fuel Injector Pro in, and took it on a 200 mile trip. Big improvement, fast! Thanks so much for the great product! Rated 5 out of 5 by Aventador7 from Inexpensive Tune Up My Acura TSX had been running poorly and my gas mileage declining. A tune up at the dealership was quite expensive. I opted for the Fuel Injector Property and what a great decision. My cars mileage has improved and is running smoothly all at a fraction of the price. Rated 5 out of 5 by Muddy Waters from Definite Power Boost Got this as a feeebie but have always been leery of using additives. Tried this anyways and have been pleasantly surprised. The difference in power is definitely noticeable. Will use again for next fill up as recommended! Rated 5 out of 5 by Alex G from Works good! I added 1 bottle to each of my vehicles full tank of fuel and even after just 1/4 tank gone I can feel the difference in the way the trucks are running. Seem to have a smoother idle and a better "feel" when accelerating. Rated 5 out of 5 by Bob K from A fuel injector cleaner that works I received a trial bottle and tried it in my Chevy Equinox. The idle is now smooth and easier to start after using fuel Injector Pro. I have purchased several additional bottles and will use them in my other cars. Rated 5 out of 5 by g90g00 from Great Fuel Injection Maintenance I used the 104+ Fuel Injection Pro in my 87 Grand National and my 99 Trans Am WS6 and both vehicles seem to idle smoother and run a bit stronger. This will become part of my regular maintenance program. Rated 5 out of 5 by Chuck N from GREAT PRODUCT I got this product to try, I put into my 2010 Land Rover with a full tank of gas. After a week I did notice better mileage as well as more pep from my rover. I will be reordering more soon! 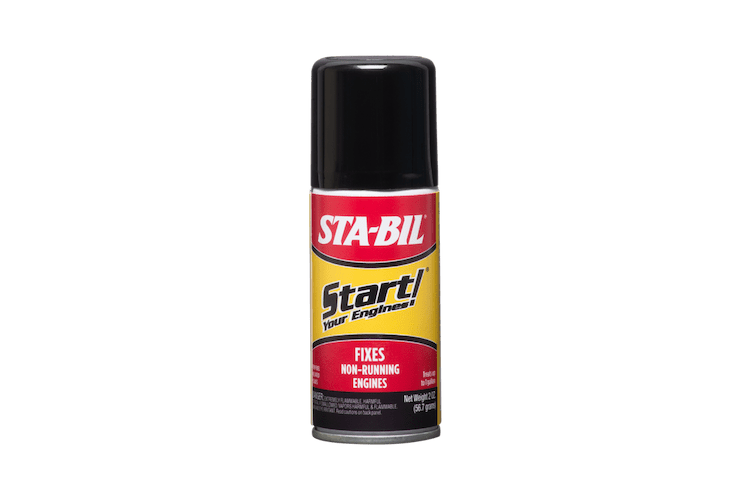 Rated 5 out of 5 by Judge from Faster Starts, Smoother Idle in sub zero weather Put it into a 2014 Ford Explorer with 3.5L V6. Vehicle seems to start faster, and run smoother at idle. Also, vehicle seems to be more responsive when starting off from a stop. Rated 5 out of 5 by Turner0923 from Saves time and money! I have a 2010 Scion and a 2004 Mercedes SL 500, I can't see spending $$$ on having a mechanic do what I can do myself. Both cars run better and are getting better mpg! Rated 5 out of 5 by Ladano1957 from Keeping The Vette in the zone Felt like the engine was not running up to its past, decided to run some injector cleaner. This looked like the best choice and I was right. Running as good as new. Rated 5 out of 5 by Ghost from Great product! Recently received a free sample of this so figured I would try it. Seems to have helped engine run better, starts & idles much better. Would recommend this product. Rated 5 out of 5 by Anthony49 from Outstanding value Used the product in my 2008 Chevrolet Malibu and noticed immediate performance benefits in both mileage and start-ups. Rated 5 out of 5 by Franco from Works for me! I split a bottle between my V8 Pickup and my wife's V6 SUV and was surprised by the improvement in both. Rated 5 out of 5 by JBD1 from AWSOME PRODUCT! Added to fuel on a fill up 2 days ago already can tell the improvement. 1999 GMC SIERRA 4.3L high miles. Rated 5 out of 5 by samy from very good used on a 2000 ranger, fuel inj, flex fuel. felt a smoother running and will be buying again. Rated 5 out of 5 by Rene1960 from Worked as advertised! Tried this product out and and got better throttle response and power. Will purchase again! Rated 5 out of 5 by Rmhl from Good product Engine is more responsive and smoother. Product does what Golden Eagle says it will do.